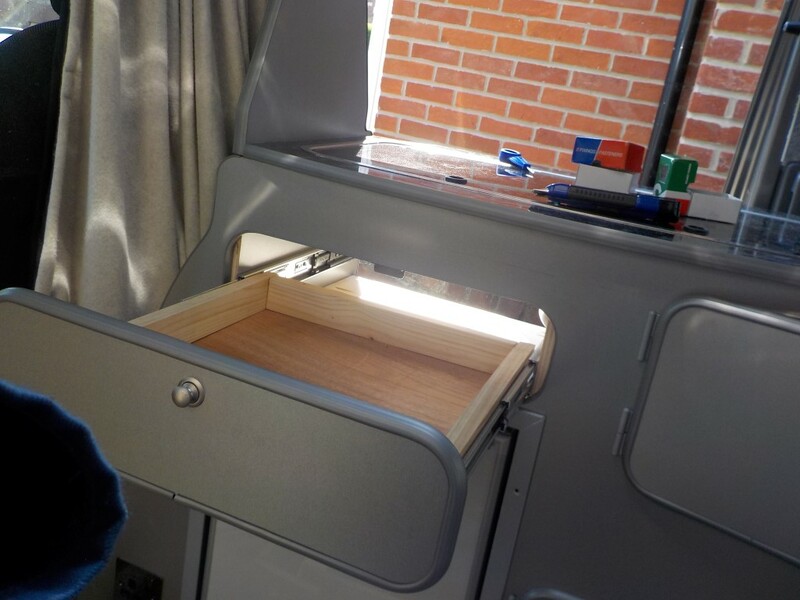 NV200: Kitchen drawer and internal water tank filler – Do your dream! 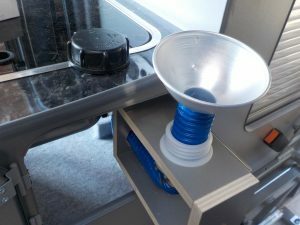 The drawer above the fridge is a full extension soft-close drawer which is as tight as it can be – if things fit then they won’t get in the way of the hob bits above. Of course, we need to be careful putting in plastic. As per our last van we’ll place things we want in this drawer and box them in so they are held tight. Should be enough room for cups, cutlery, tea/coffee, plates/bowls etc. Once boxed it’ll be nicely lined, so not yet finished. The water filler was always an unknown until today. We didn’t want an external filler, so its internal. 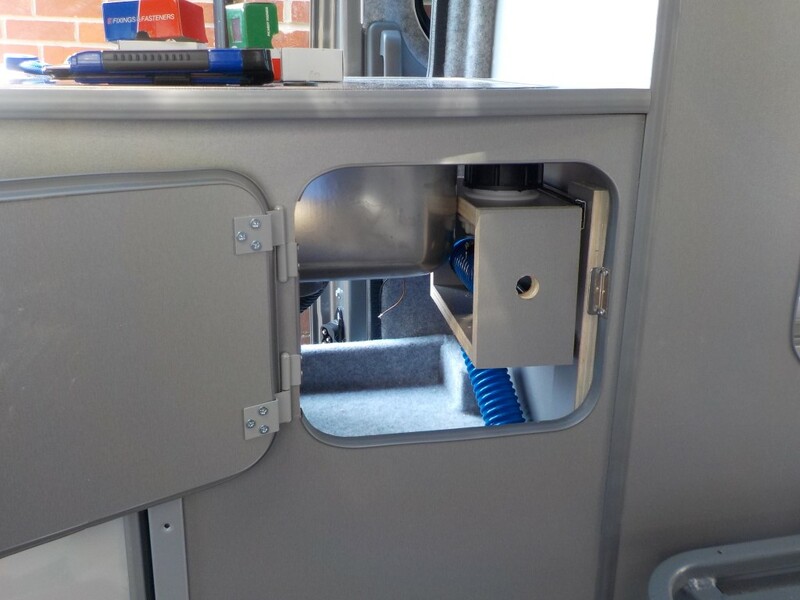 We’ll have a 10l water container (behind drivers seat) we can fill and pour into the tank. As tank is only 30L its only 3 fills and the 4th can stay in the container giving us 40L of fresh. Probably quicker this way than getting a hose out! As ever its TIGHT! 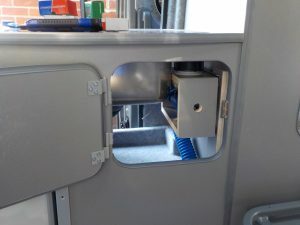 The drawer rails are actually bent to allow the housing to clear the sink and the door trim and the door catch – 1mm clearance is generous! But the whole thing easily pulls out and the filler pipe is level/down (no up hills) – so that’s cool – and we’ve made a 110m diameter pouring bowl for ease of fill.